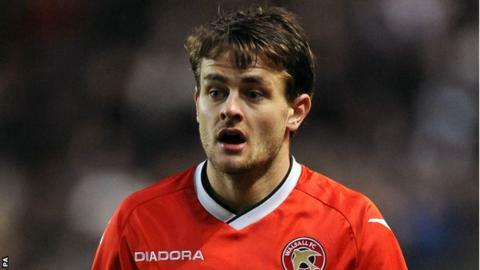 Walsall full-back Andy Taylor has signed a new 18-month contract at the Banks's Stadium. The 26-year-old, who joined the Saddlers in August following an injury-hit spell at Sheffield United, has gone on to make 22 appearances for the club. Former Blackburn youth graduate Taylor represented England at Under-20 level. "He's an experienced lad who has really helped the youngsters around him. He's put in a consistent level of performance," said boss Dean Smith. "He is also a great character and personality to have around the football club."